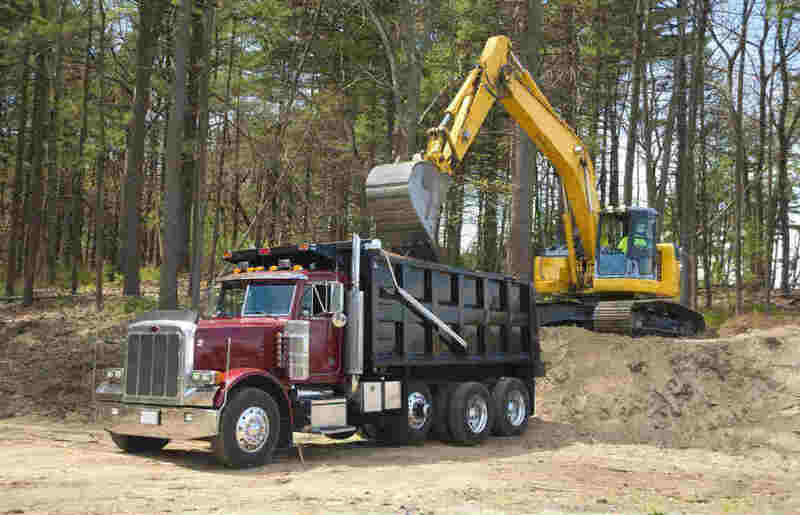 According to OSHA, more than 70 workers were killed in 2011 as a result of being backed over by a construction vehicle. A backover accident takes place when a vehicle that is backing up hits a worker who is walking, standing, or kneeling behind the moving vehicle. These types of incidents can occur in a number of different ways. According to OSHA, more than 70 workers were killed in 2011 as a result of being backed over by a construction vehicle or truck. Unfortunately, most of these accidents are preventable, but they still happen. In this article, we will discuss the common causes of construction backover accidents, and how they can be prevented. Construction sites are often extremely noisy, and it can be difficult to hear running vehicles and back up signals at times when the surrounding noise is too much. Accidents also occur when the workers are in in the blind spot of the vehicle. Despite all safety measures such as orange safety vests, traffic cones and flashing lights workers still end up in blind spots of vehicles. This puts them in path of danger. Alarms malfunction can also cause a backover accident. When a backup alert signal on a vehicle is not working properly, the workers may not have enough time to respond before they realize the vehicle is moving towards them. It is unsafe for workers to rise on moving vehicle, but it still happens. Workers often try to hitch a ride on the outside of the truck, and face the risk of being backed over and falling off. When driving a construction vehicle, have someone else look out for other workers on the ground. This will help you avoid hitting any workers in the blind spots, and will enable you to avoid dangers such as construction trenches and passengers cars. Make sure all safety alerts are working properly. Conduct regular safety checks of the backup alerts. Workers on the ground can use megaphones, whistles and other devices to alert workers of an oncoming danger. Use proper safety gear such as hard hats, orange safety gear, and other designated gear to help the driver spot you, and prevent injury even if you happen to get knocked down. Traffic control plans and traffic flow charts should be designed and implemented. This can help prevent many accident, because the workers will be better aware of the vehicle movement, and will not come in the path of backing vehicle. Employers can consider implementing radar and sonar devices that can be worn by workers to alert them of any oncoming vehicle. These devices can also alert vehicle drivers about the proximity of a worker. Backover accidents cause serious and often fatal injuries. If you have been injured or lost a loved one in a backover accident on a construction site, you may be entitled to workers compensation benefits. At the Law Office of James M. Hoffmann, we have helped hundreds injured workers get the workers compensation benefits they are entitled to receive. Do not let the insurance company or your employer deny your benefits. Contact our experience workers compensation lawyers today at (314) 361-4300 or fill out our online contact form to request a free consultation.